(Bloomington, IL, March 22) Prices being paid for high quality Illinois farmland, as well as cash rents have stayed essentially flat for the past 12 months according to the 2018 Illinois Farmland Values and Lease Trends Report released today by the Illinois Society of Professional Farm Managers and Rural Appraisers at the Illinois Land Values Conference held here. The Report is based on an annual survey of the Society's members and others allied to the industry and reflects activity from 2017. "The news is there is isn't much new regarding land values or changes in rents being paid for farmland," says David Klein, AFM, ALC, with Soy Capital Ag Services and overall chair of the annual Land Values project sponsored by the Society. "Prices paid for Excellent quality farmland across the northern part of the state were down 1-2 percent with ranges from $10,500 to $11,000 per acre across the various regions of the state. That same type of land in the central part of the state was going $10,350 to $11,400 per acre in the past year. This was flat-to-down 5 percent in certain areas. "In the southern regions of the state there was really no movement at all in terms of drops or increases in prices for land. It was going from$8,000 to $10,885 per acre in the same areas as it was a year ago," he explained. A similar trend was true of cash rents being paid for the same Excellent quality farmland. "Projected rents remained relatively steady all across the state," he said. Rent prices ranged from $295 to $325 per acre in the northern part of the state; $300 to $350 per acre for the central region, and; $160 to $325 in the southern counties. Klein notes the statewide average prices being paid for Excellent farmland have dropped from their peak of approximately $12,500 per acre in 2013. "Comparatively, though, the average price paid for this same farmland in 2002, 15 years ago, was a little over $3,400 per acre," he noted. Klein says the profile of the buyers of farmland has not changed in many years with farmers accounting for 62 percent of that group. "They know the value as well as, if not better than anyone else, and they are reinvesting into their own farm businesses. Investors, local and otherwise, are the second largest group of buyers accounting for 23 percent of the sales. "Estate sales still lead the way as the greatest reason for a property to come on the market," he explains. Private treaty is still the most popular way of selling land (49 percent) followed by public auction (35 percent). "It's interesting to note how little this changes with time," Klein adds. "In 2003 our report indicated that private treaty accounted for 50 percent of sales and public auction was at 32 percent." As with rent rates, prices being paid for the land are based primarily on commodity prices. "It's one of the ironies of agriculture – often the higher the soil productivity, the lower the cash return. But this also often carries with it lower risk, and improved asset price stability," he says. "Our surveyed members believe the primary factor that could cause a drop in farmland prices of more than 5 percent would be falling commodity prices because of good growing condition in the United States." He notes, however, that an increase in interest rates could also impact demand, and cause prices to drop. 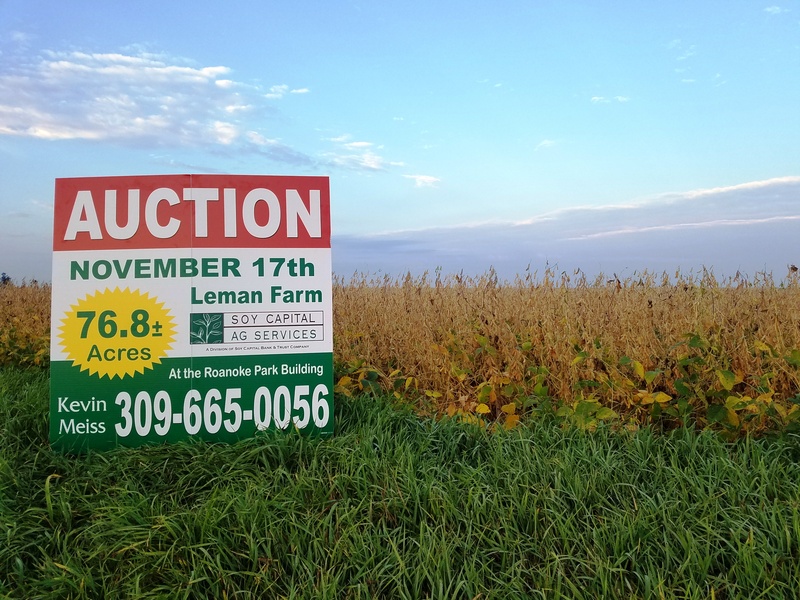 “Keep an eye on grain prices, interest rates, and governmental policy changes over the next 12-24 months for further direction in where the farmland market may be headed. What feels like a market that should be getting softer, may not happen because of general economic reasons. Conversely, there may be some real opportunities for investors to purchase productive land that could use some improvements during moments of uncertainty." Klein says. For Excellent quality farmland, traditional crop shares had average income of $193 per acre, cash rent had $230 per acre, and custom farming had $253 per acre, says Dr. Gary Schnitkey, University of Illinois Department of Ag and Consumer Economics. Across all productivities, a straight crop share lease had the lowest returns. Cash rent and custom farming had returns near one another for the Good, Average, and Fair land classes. There is a great deal of variability in cash rents for a given land productivity, he notes. "For example, the average cash rent for the mid 1/3 group on Excellent quality farmland is $298 per acre. The high 1/3 of leases averaged $317 per acre, $19 higher than the mid 1/3 group. Similarly, the low 1/3 group averaged $258 per acre, $40 lower than the mid 1/3 group. From the high 1/3 group to the low 1/3 group, there is a $59 per acre difference in average rents for Excellent productivity farmland. Similar ranges exist across Good ($53 from the high 1/3 to low 1/3 averages), Average ($49 per acre), and Fair ($50 per acre) productivity classes. "Fifty-eight percent of respondents expected 2019 cash rents to remain the same as 2018 cash rents," he explains. 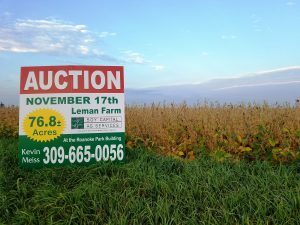 The complete 2018 Illinois Land Values and Lease Trends Report is available for purchase in hardcopy at www.ispfmra.org<http://www.ispfmra.org>. The 124-page document includes region-by-region farmland sales data and also features year-over-year trend lines with numbers of properties sold, sales prices and median sales price data. The ISPFMRA is one of 37 chapters of the American Society of Farm Managers and Rural Appraisers. The Illinois chapter, now celebrating its 90th year, is the oldest and largest state organization of its kind in the United States. Members are professionals devoted to the management and appraisal of rural property and agricultural consulting.